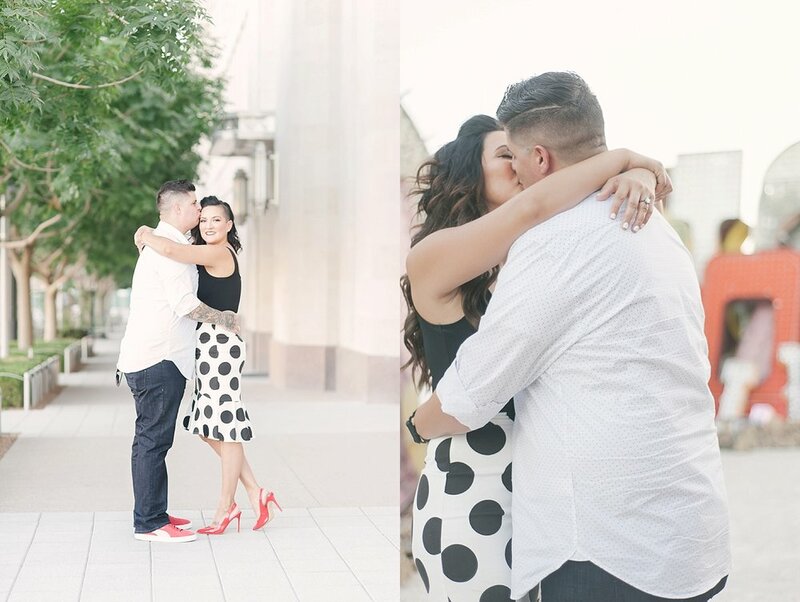 Being Las Vegas photographers, we get a lot of couples from out of town. We have coupes coming from all parts of the country and all over the world and we absolutely love it! We love meeting couples and making friends around the globe! 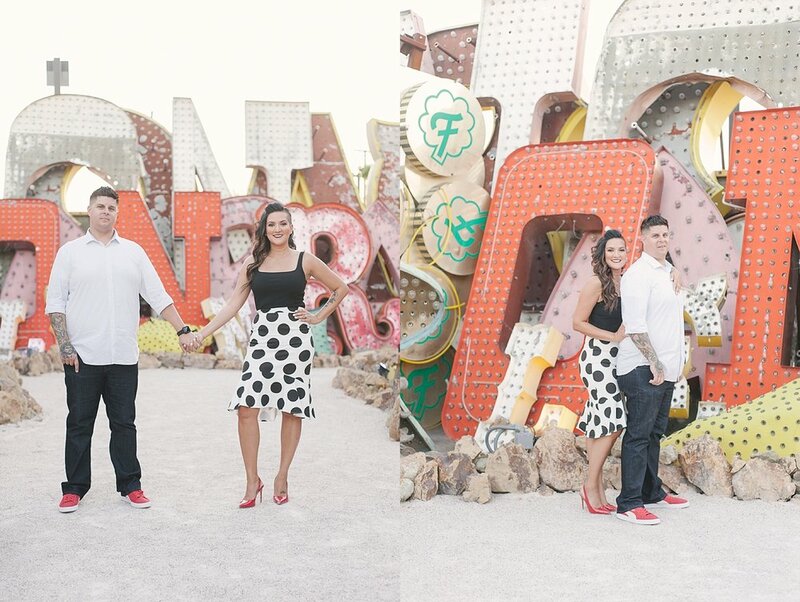 Today I want to talk a little bit about how you can have engagement photos with us even if you’re from out of town and are having a destination wedding in Las Vegas! First of all, I just want to stress how beneficial having an engagement session is! Engagement photos are not in your wedding attire, so you get some great photos of the two of you together having fun and being flirty in your more natural element. That could be casual and relaxed or a little more dressy, like for a date night. It’s totally up to you and what you feel is a nice representation of who you are as a couple. And, because there’s no pressure of a timeline or family members, cocktail hour, bridal party, etc. we can have so much fun just getting to know each other and taking our time with photos and enjoying the processes. We’ve even been known to stop and grab a few beers mid-session! For our couples of course, not for us! Having this time together really puts you at ease and even more confident in your decision to hire us for your wedding. You’ll have some epic engagement photos to share with friends and family, so they too feel like they already know us on the wedding day. So, come day of, it’s like having old friends there with you capturing your wedding! So, now that I’ve convinced you that an engagement session is kind of a must-have, here are a few ideas on how you can still get those fun, relaxed, images before your wedding day even if you are coming from out of town! 2. Have us come to you. Having us travel to your hometown is a ton of fun. It gives you the opportunity to get some photos on your home turf, maybe your favorite park or coffee shop, the spot where he proposed or where you met, or just in a really cool spot that showcases your hometown. Our travel fees are super reasonable and we don’t even charge a travel fee for most of California, Utah, or Arizona! 3. Schedule your engagement session the week of your wedding day. Most couples arrive in Vegas a few days or even a week before their wedding day. This gives them time to enjoy what they love about Vegas and get some last minute details taken care of too. This could also include hair and makeup trail or even location scouting with us. Again, while we’re at it, let’s get your engagement session photos done and get to know each other better! All that to say, I’m so excited to share that we’ll now be including an engagement session with our intimate wedding collections too! 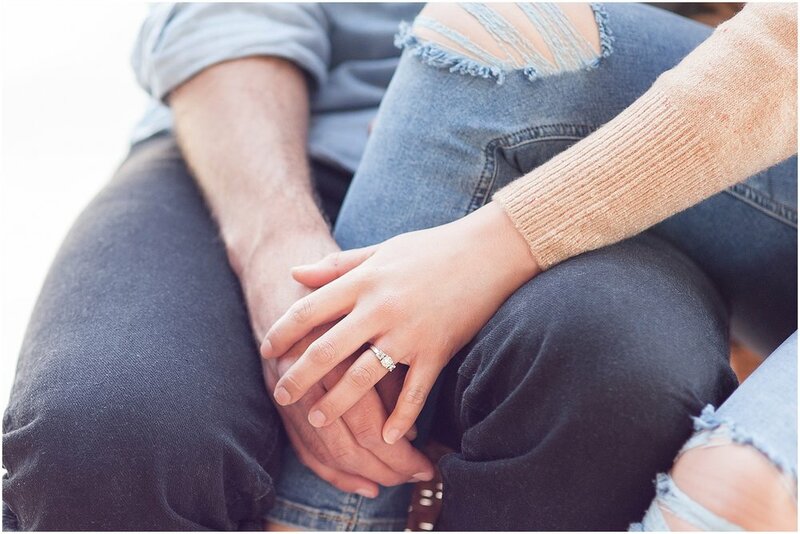 We already include an engagement session with our traditional wedding day collections, but we realized that our intimate destination wedding couples need engagement photos too! Simply because you are having a smaller, more intimate wedding day, doesn’t mean you can’t have engagement photos. I cannot wait to give all our couples this awesome experience and the epic engagement photos you deserve too! Ready to get more info for your wedding day and get your engagement photos? Just click HERE to fill out our contact form and let’s chat soon!